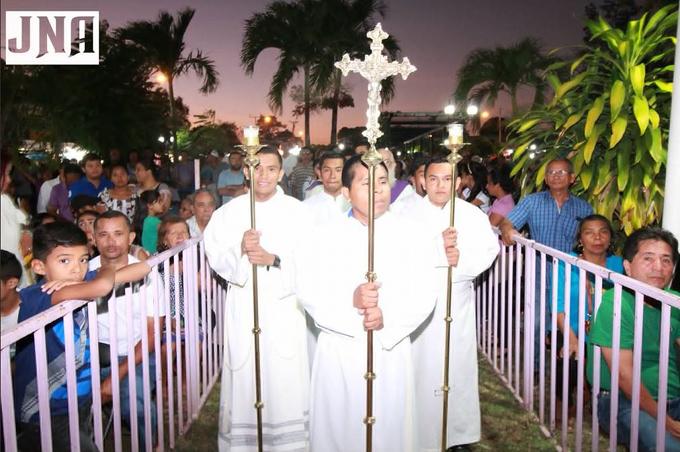 Since 1790 many of Panama’s devout Catholics have been making pilgrimages to the small town of Atalaya, in Veraguas a few miles southeast of Santiago. 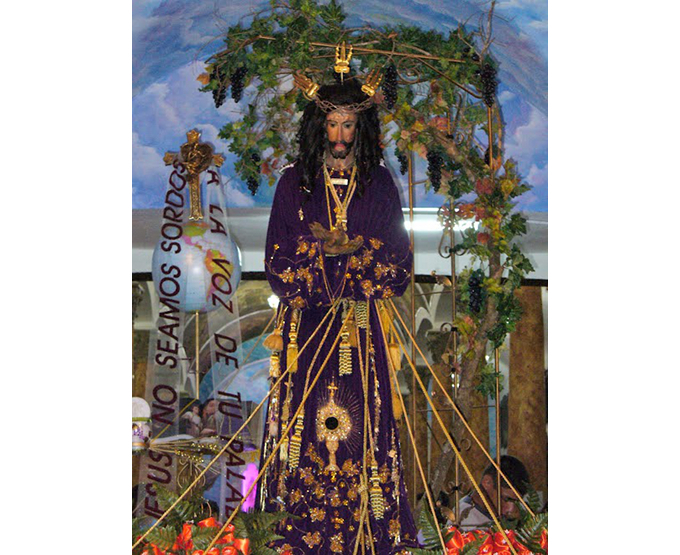 The -statue of Jesus in that town’s chapel had been there since 1730 and the annual mega-event began to take its modern force in 1912. 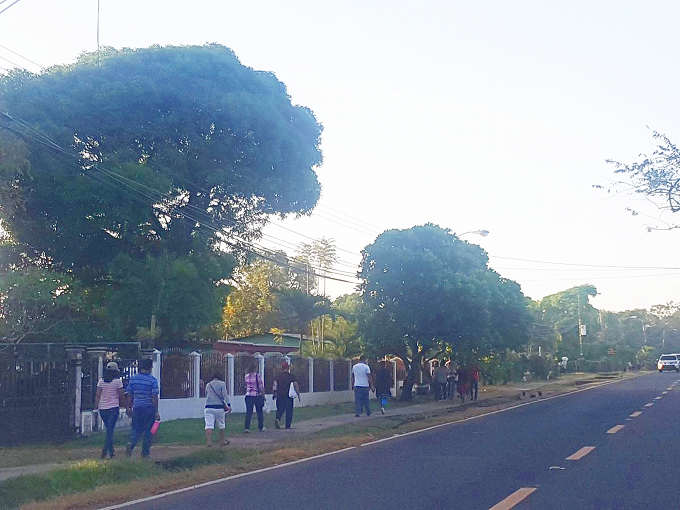 Some folks from far away began walking, often in purple robes, while others were celebrating Carnival. Others are walking now and some, coming by whatever means of transportation, are already there. 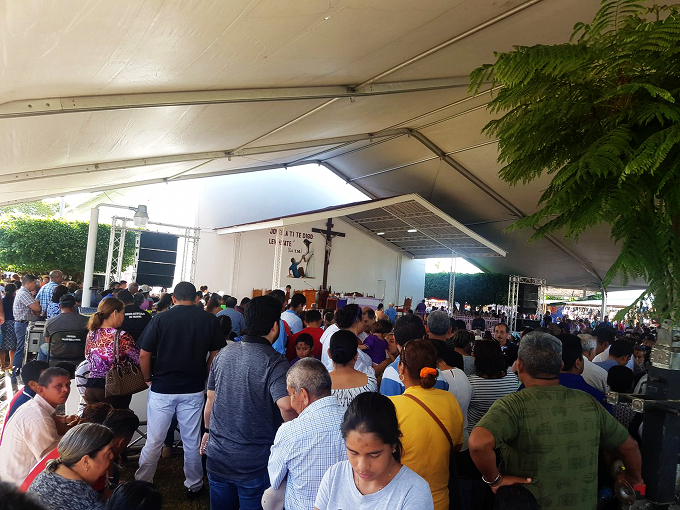 The big events are on this coming weekend, with a procession and a Sunday mass that typically attracts about 200,000 people but may be larger this year. 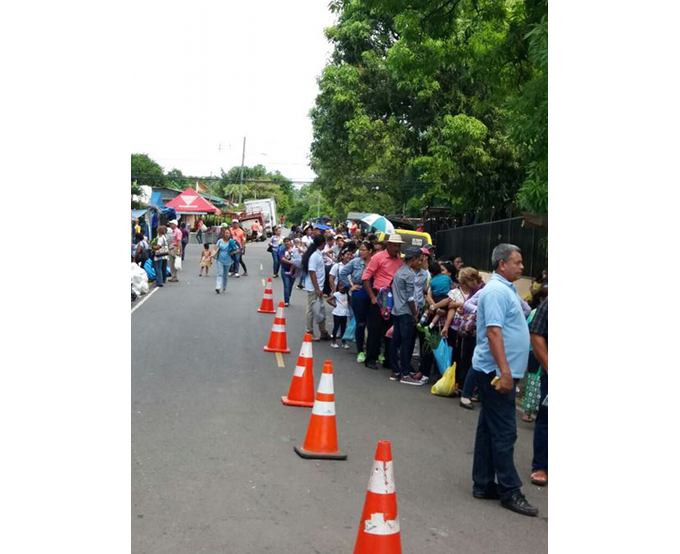 In any case, the Transito cops’ big mobilization for Carnival may be over, but many of them are working along with the bomberos, the SINAPROC disaster relief agency and local officials to make the pilgrimage, procession and crush at the Basilica Menor de Atalaya safe for all. There has already been at least one person run over en route to Atalaya this year. For a more detailed history and explanation — in Spanish — go to the Jesús Nazareno de Atalaya website.